Skowronski DM, et al. Euro Surveill. 2019;doi:10.2807/1560-7917.ES.2019.24.4.1900055. 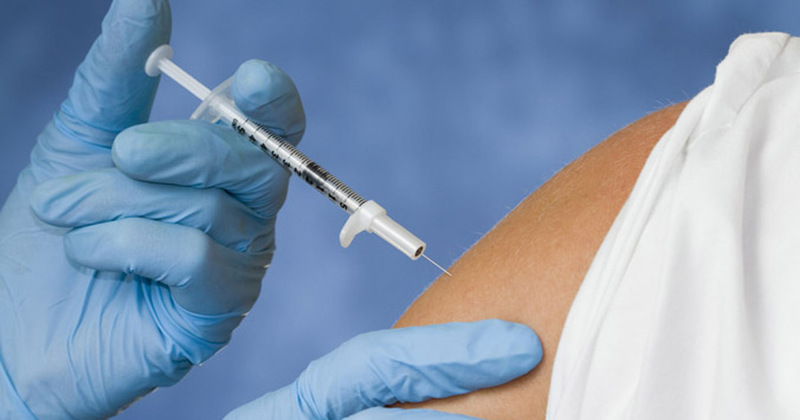 In Canada, the influenza vaccine has been 72% effective this season against the predominant circulating virus, influenza A(H1N1)pdm09, offering “substantial” protection, researchers said. The interim vaccine effectiveness (VE) estimate was calculated using specimens collected through the Canadian Sentinel Practitioner Surveillance Network from patients presenting with influenza-like illness. A CDC spokeswoman told Infectious Disease News that interim estimates of the influenza vaccine’s effectiveness in the United States — where H1N1 also has predominated — should be available sometime in mid-February. “VE estimates can vary across studies, even within the same season, depending upon the contributing mix of different kinds of circulating influenza viruses in the regions where the VE is being measured,” Danuta M. Skowronski, MD, MHSc, FRCPC, a co-author on the Canadian study, told Infectious Disease News. The influenza vaccine has been 72% effective in Canada this season against the predominant influenza A(H1N1)pdm09 virus strain. Skowronski, a physician epidemiologist at the BC Centre for Disease Control and clinical professor in the school of population and public health at the University of British Columbia, suggested that the vaccine may be similarly effective against H1N1 in the U.S.
“Because vaccine performance can also differ by age — such as in the very young compared to non-elderly or elderly adults — VE estimates may also vary depending upon how much one or the other age group contributes to the particular study. Having said that, given comparable participant profiles and sufficient sample size, estimates for a given kind of influenza — for example, H1N1 — may not be identical across studies, but should be in the same ballpark,” she said. To estimate VE in Canada, Skowronski and colleagues assessed 1,518 eligible specimens collected from patients aged 1 year or older. Overall, 44% tested positive for influenza, of which 99% were influenza A. Of the samples subtyped as influenza A, 93% were H1N1 and 7% were H3N2. Although most of the participants were adults aged 20 to 64 years, there were significantly more cases of H1N1 among children aged 1 to 8 years, according to Skowronski and colleagues. Patients in this young age group demonstrated 58% positivity for influenza H1N1 compared with 18% among adults aged 65 or older. Among those who tested positive for H1N1, just 8% reported being vaccinated, whereas 27% of test-negative controls were vaccinated. Skowronski and colleagues calculated that the vaccine was 68% (95% CI, 55-77) effective against any influenza virus and 72% (95% CI, 60-81) effective against H1N1. They calculated adjusted VE against H1N1 by age group and found that it was 91% (95% CI, 67-98) among children aged 1 to 8 years, 71% (95% CI, –60 to 95) among children aged 9 to 19 years, 68% (95% CI, 51-80) among adults aged 20 to 64 years, and 65% (95% CI, –1 to 88) among adults aged 65 or older. Disclosures: Skowronski reports no relevant financial disclosures. Please see the study for all other authors’ relevant financials disclosures.